Until six years ago, I made every effort to avoid coming in contact with stinging insects. But now, I just love, love, love being surrounded by honeybees. 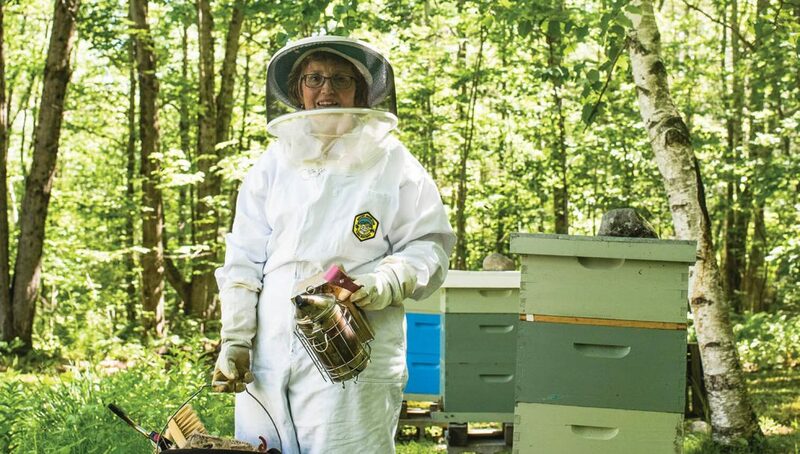 Despite what you might think, working with bees is an extremely calming experience. 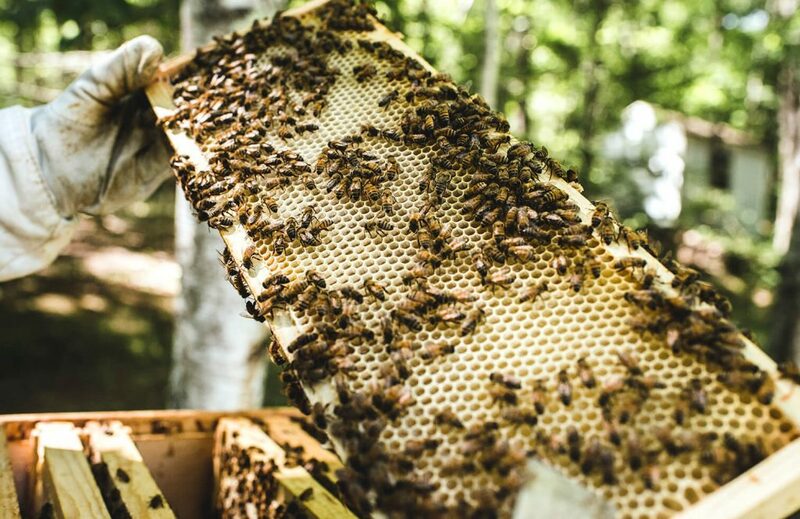 At a hive’s peak size, there can be up to 60,000 bees—remaining calm and thoughtful as a beekeeper is a must! I marvel at a beehive’s organization, how each worker bee completes the job assigned to her current role in the hive and how the queen bee truly looks regal. Truly. 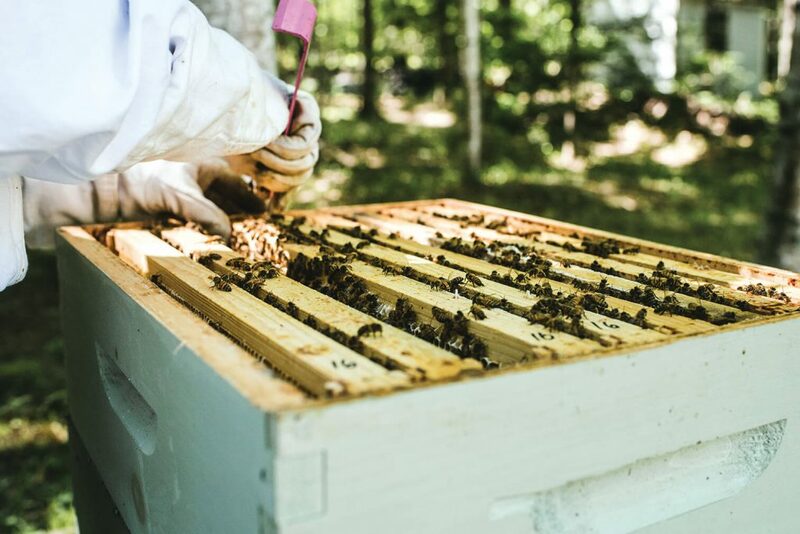 I love the hum the bees make when I remove the hive cover, the busyness of their activity—coming and going with such purpose. I love the sweet, earthy beeswax smell of the hive and the opportunity to share jars of golden honey with friends and family. In the summer, when the bees are busy fanning the inside of the hive to evaporate excess moisture before they seal up the honey with a film of wax, my backyard smells wonderfully delicious. During the winter months, I trudge through the snow and hold a stethoscope to the side of the hive straining to hear the buzzing sound of them vibrating their wings to generate heat. I know I could use a thermal attachment on my iPhone but I don’t think it would feel the same. Beekeeping was something that my father was interested in but just didn’t have the chance to explore. So when I came across the book “First Lessons in Beekeeping” in a box of his books, I knew I had to give it a try. I often think of him and of my grandmother and gratefully thank them for instilling in me an appreciation for nature—something I’ve not yet outgrown. 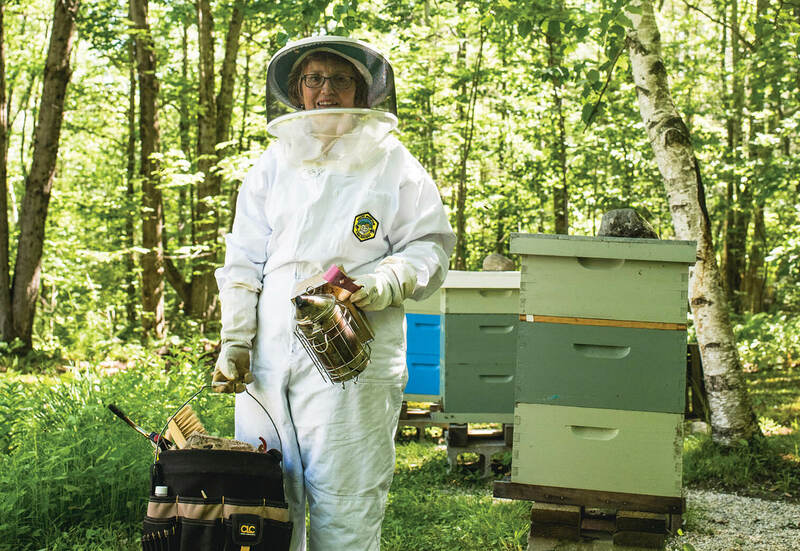 Julie Wilson is a high school special education teacher who lives in North Yarmouth with her husband Bill, her cat Mandu and several colonies of honey bees. We want to know what makes you feel fantastic, powerful, on top of the world (and we’ll highlight you in these pages). Email MWM editor Shannon at sbryan@mainewomenmagazine.com.